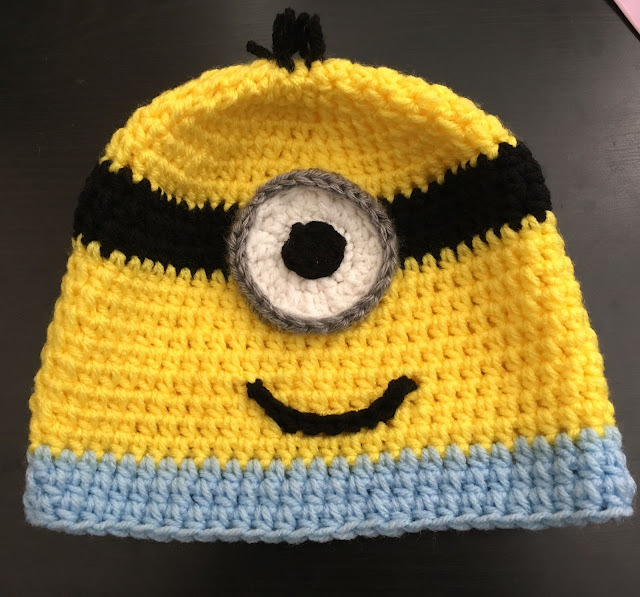 Last year, I made a crochet hat for my 2 year old. It was super dainty "hat" with a rim and a flower. I loved it, she did not! Looking back (through her 2 year old eyes) I now realize that it was so “blah”!! 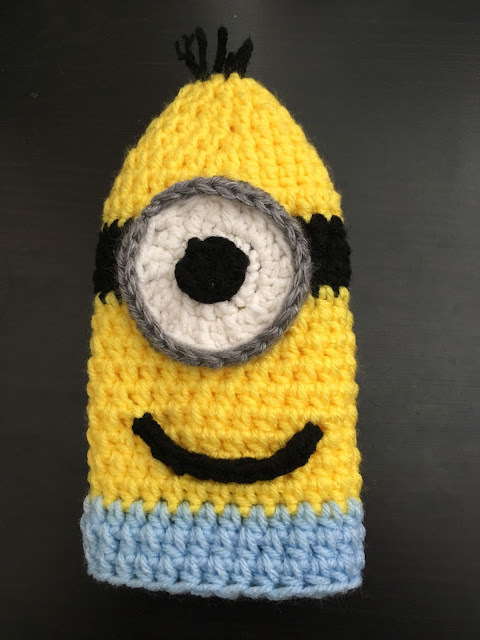 No eyes, no ears!! Its a regular beanie, made with HDC spirals. For the minion pattern, I went 9 rounds with yellow + 3 with black + 10 more with yellow + 3 with blue. For the eye, I made a white disc with 2 rounds of DC (12-24) and sewed that on. Then I made one round of 6 SC in black and sewed that on top of the white. For his glasses (glass?!) I used heather grey yarn and did one round of surface crochet around the white, and then another round of HDC in each of those surface stitches, so the grey rim is 3D. And his smile was one line of surface SCs. The hair is made of small yarn strands threaded through the top, and knotted. And you know what, it is going to be Diwali soon, so stay tuned for my this year's card! !